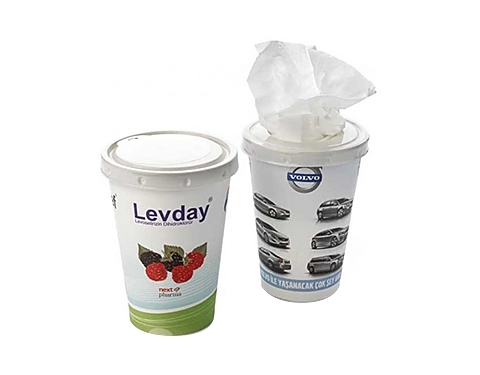 Each cup holds 30 x 2-ply white tissues, each tissue measuring 200mm x 205mm. Available from 1000 boxes with vibrant full process colour printing to all sides. These unique tissue cups represent the perfect health or travel giveaway.